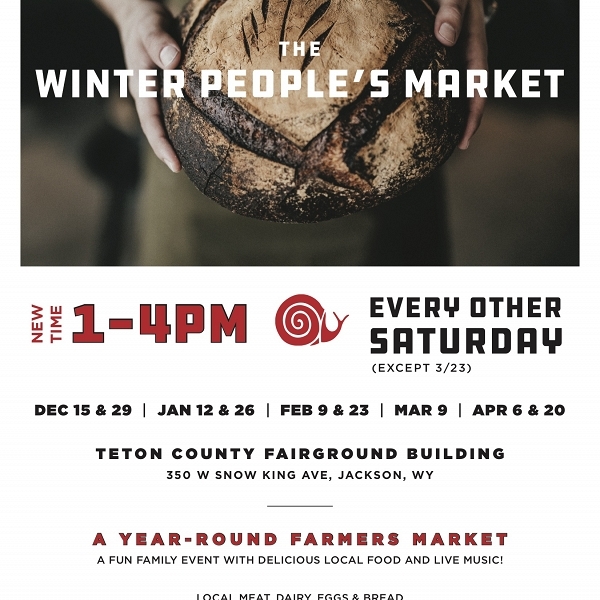 The Winter People's Market is a fun family event with delicious local food and live music! Local offerings will include meat, dairy, eggs, and bread. Regional winter produce, prepared food, and goods from local artisans will also be available! The Market will be held every other Saturday from December 15, 2018 through April 20, 2019 from 1-4PM.